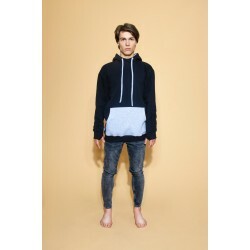 Premium cotton 280g Oversized hoodie with single pocket Natural Linen label on the neck High quality print on the chest Engraved steel jet on the pocket Surf wave label on the side Very soft and skin friendly material HandMade in EU Our model is 180 cm tall and weighs 73 kg. He is wearing M size. Premium Cotton 280g Pressed ECO leather Surf Inc. label on the edge Natural Linen label on the neck High quality print on the chest Surf wave label on the side Very soft and skin friendly material HandMade in EUOur model is 180 cm tall and weighs 73 kg. He is wearing L size. Premium cotton 280g Pressed ECO Leather Surf Inc. label on the edge Natural Linen label on the neck High quality print on the chest Surf wave label on the side Very soft and skin friendly material handmade in the EU Our model is 180 cm tall and weighs 73 kg. He is wearing L size. Cotton 350g Very thick, warm, soft and skin friendly clothing Pressed ECO leather Surf Inc. label on the edge Natural Linen label on the neck and back Thumb holes for better fitting Big pocket Surf wave label on the side Thick hood strings SURF embroidery on the hood HandMade in EU Our model is 180 cm tall and weighs 73 kg. He is wearing M size.